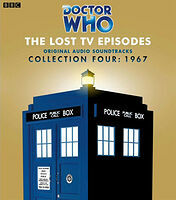 Note: Fourth of 5 Lost TV Episodes box sets, collecting TV soundtrack audios from missing & incomplete 1960s episodes. 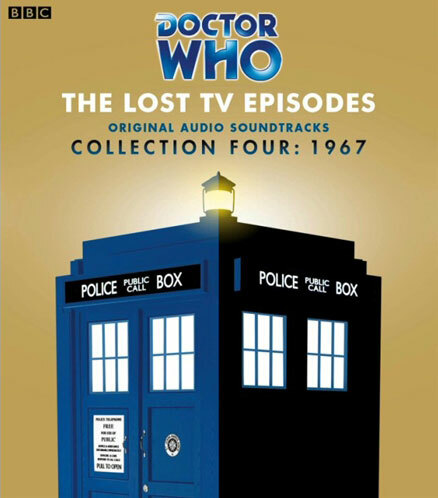 This set contains the previously-released audios The Faceless Ones, The Evil of the Daleks, The Abominable Snowmen and The Ice Warriors. The box set also contains The Macra Terror, however this is not the Colin Baker-narrated version previously released on CD and cassette, but an newly-remastered version featuring new narration by Anneke Wills, exclusive to this box set. Absent from the TV archives, these stories survive only as soundtrack recordings. Now remastered, with additional linking narration, you can enjoy them once again: plus bonus interviews with Anneke Wills and Frazer Hines, and PDF files of the original scripts. The TARDIS visits a human colony that appears to be one big holiday camp, but has in fact been infiltrated and taken over by a race of giant crab-like creatures — the Macra. The TARDIS has been stolen by antiques dealer Edward Waterfield, who lures the Doctor and Jamie into an elaborate trap set by the most deadly race in the universe: the Daleks.